Stacy Kinsell, hiking in the Uluguru Mountains of Tanzania. Stacy Kinsell is the Volunteer and Outreach Coordinator for the Rare Plant Care and Conservation Program (Rare Care), but it hasn’t been a straightforward path to get there. Kinsell’s undergraduate work was in social work and urban studies. After school, she packed up for an adventure in a new city far away from her native Georgia and moved to Seattle. She quickly fell in love with the city, but not the career and after a few years of working in her new field, Kinsell was feeling burnt out. She had already started volunteering with a farm on Bainbridge Island and decided to take a dive. She quit her job and started an apprenticeship on the farm. “That plunged me into the most wonderful adventure into the world of plants,” she explains. 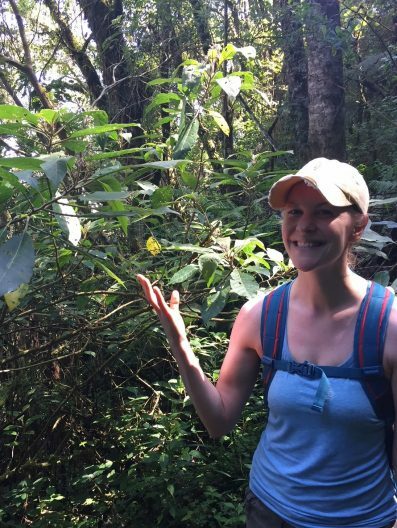 An adventure that took her from agriculture to horticulture and eventually to the University of Edinburgh and Royal Botanic Garden Edinburgh, where she received her MSc in Biodiversity and Taxonomy of Plants. As Kinsell describes it, Rare Care is “a fantastic program that utilizes the excellent resource our region has in citizen scientists to monitor rare plant populations around Washington State.” Relying heavily on volunteers who have gone through a rigorous training, the program is able to monitor over 100 rare plant populations each season. Kinsell’s primary role is in supporting these volunteers, providing the necessary documents and maps they need to find the plants and monitor them. 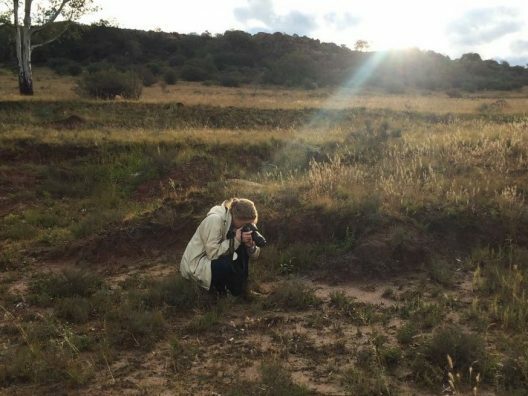 Stacy doing fieldwork in South Africa. As Kinsell adjusts to her new position, there is a lot that she’s enjoying. The first thing she mentioned? The opportunity to work with such passionate and knowledgeable volunteers. “We ask a lot of them,” she explains, “and they deliver with a dedication I’ve never seen in volunteers before.” Kinsell describes herself as a botanist at heart, and is excited about the opportunities she will have this summer to get back out in the field. She will be helping with this year’s annual monitoring weekend, where volunteers spend a weekend camping and monitoring all the rare plants of a particular site.